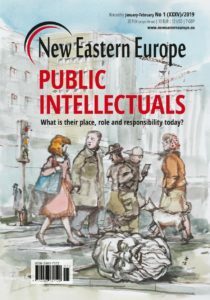 Any personal data that is collected by the publisher of New Eastern Europe – Kolegium Europy Wschodniej im Jana Nowaka-Jezioranskiego we Wroclawiu – is used for the sole purpose of informing about New Eastern Europe or any other activities by the publish. Data is collected by the publisher only when users provide data – such as signing up for the Newsletter or purchasing a subscription. We do not share personal data collected by the publisher with any third party. All users whose data has been collected by the publisher have a right to know and see exactly what personal data the publisher owns about them. 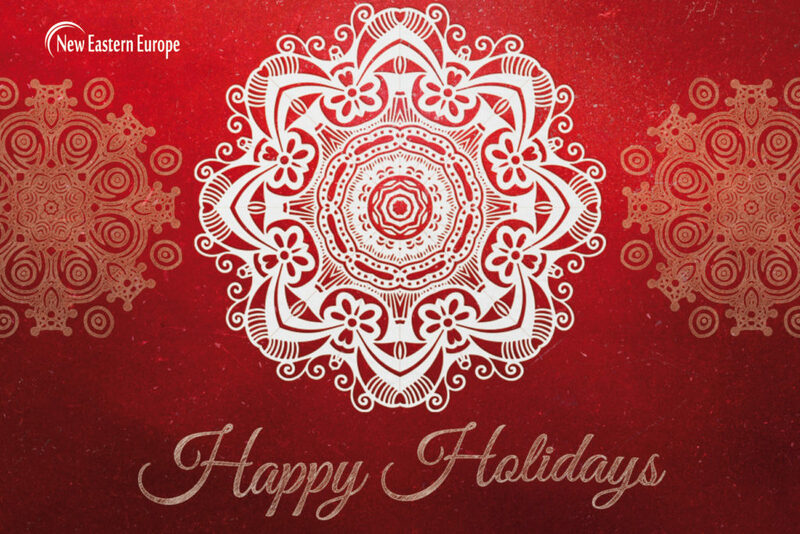 To request a copy of the data in which is being held by Kolegium Europy Wschodniej im. 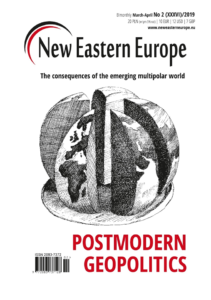 Jana Nowaka-Jezioranskiego we Wroclawiu – you can contact us anytime via email: subscription@neweasterneurope.eu. All users have a right to remove the personal data from our database. 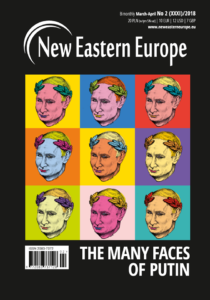 Please email us at subscription@neweasterneurope.eu if you would like to remove your data from our database. We, the Operators of this website provide it as a public service to our Readers (referred to herein as “reader” or “user”). 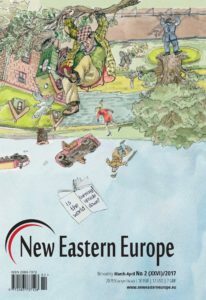 Please carefully review the following basic rules that govern your use of the New Eastern Europe website (www.neweasterneurope.eu and all subsequent pages). Please note that your use of the website constitutes your unconditional agreement to follow and be bound by these Terms and Conditions of Use. If you (the “Reader”) do not agree to them, do not use the website, provide any materials to the website or download any materials from them. The Editors and Publishers (“Operators”) reserve the right to update or modify these Terms and Conditions at any time without prior notice to the reader. Your use of the website following any such change constitutes your unconditional agreement to follow and be bound by these Terms and Conditions as changed. For this reason, we encourage you to review these Terms and Conditions of Use whenever you use the website. Your use of the New Eastern Europe website is for your own personal and non-commercial use only. 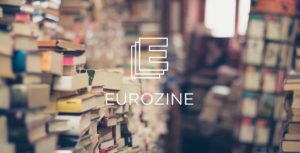 You acknowledge that, as between the Operators and you, except for user content and advertisements, New Eastern Europe and its publishers are the sole owners of all content on the website. 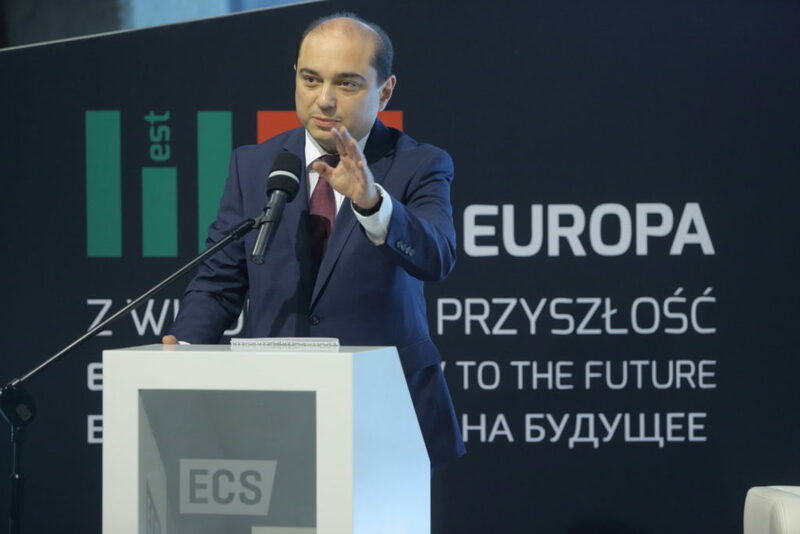 The New Eastern Europe website is protected by copyright laws and other intellectual property laws of Poland and the European Union and protected globally by applicable international copyright treaties. You may download and print extracts from the website for your own personal and non-commercial use only, provided you maintain and abide by any author attribution, copyright or trademark notice or restriction in any material that you download or print. You may not use any content for any other purpose without our prior written approval. If you wish to use our content other than as permitted by these terms and conditions, please contact us at editors@neweasterneurope.eu. You may not upload or transmit any material that infringes or misappropriates any person’s copyright, patent, trademark, or trade secret, or disclose via the website any information the disclosure of which would constitute a violation of any confidentiality obligations you may have. You may not upload any viruses, worms, Trojan horses, or other forms of harmful computer code, nor subject the Website’s network or servers to unreasonable traffic loads, or otherwise engage in conduct deemed disruptive to the ordinary operation of the Website. You are expressly prohibited from compiling and using other Readers’ personal information, including addresses, telephone numbers, fax numbers, email addresses or other contact information that may appear on the website, for the purpose of creating or compiling marketing and/or mailing lists and from sending other Readers unsolicited marketing materials, whether by facsimile, email, or other technological means. You also are expressly prohibited from distributing Readers’ personal information to third-party parties for marketing purposes. The Operators reserve the right to report the abuse of personal information to the appropriate law enforcement and government authorities, and the Operators will fully cooperate with any authorities investigating violations of these laws. 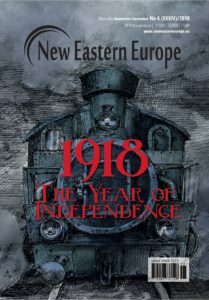 To the extent permitted by law, we do not accept any responsibility for any statement made by an author in the content of New Eastern Europe. The editors and publishers explicitly note that content and information provided by an author of a text published on the website does not necessarily reflect the views of the Editors and Publishers. 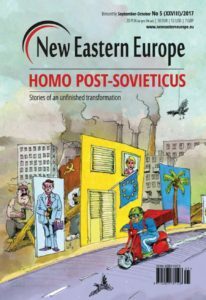 New Eastern Europe tries its best to ensure that accurate and factual information is contained in an author’s contribution. Should a Reader find information that is incorrect or not factual they can contact the editors at any time at editors@neweasterneurope.eu in order to correct, update or address the error. 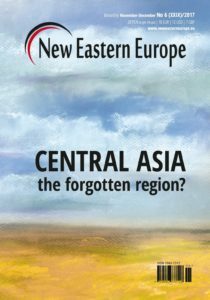 Nothing in New Eastern Europe is provided for any specific purpose or at the request of any particular person. For the avoidance of confusion we will not be liable for any loss caused as a result of your doing, or not doing, anything as a result of viewing or reading to the content on the website, or any part of it. You can access other sites via links from the New Eastern Europe. These sites are not under our control and we are not responsible in any way for any of their contents. We give no guarantees of any kind concerning the website. While the Operators do the best they cannot guarantee that the website or any of its contents is virus free. You must take your own precautions in this respect as we accept no responsibility for any infection by virus or other contamination or by anything which has destructive properties. The Operators may, but are not obligated to, monitor or review any areas on the website where readers transmit or post communications or communicate solely with each other, including but not limited to forums and email lists and the content of any such communications. The Operators, however, will have no liability related to the content of any such communications, whether or not arising under the laws of copyright, libel, privacy, obscenity, or otherwise. The Operators may edit or remove content on the website at their discretion at any time. You acknowledge and agree that when you post content on the website or view content provided by others, you are doing so at your own discretion and risk, including any reliance on the accuracy, completeness, of that content. 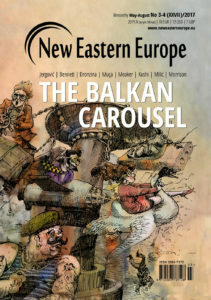 You further acknowledge and agree that the views expressed by you and other readers in that content do not necessarily reflect the views of New Eastern Europe, and we do not support or endorse any user content. You acknowledge that we have no obligation to pre-screen, monitor, review, or edit any content posted by you and other users on the website. 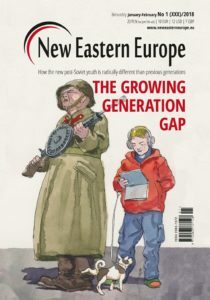 By purchasing a subscription to the print magazine of New Eastern Europe, you are agreeing to share your personal data. This data will be used for the sole purpose of subscription-related activities (such as sending out magazines, reminding of renewal, etc.). 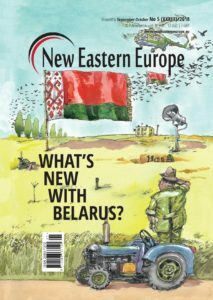 By purchasing a subscription you also agree to provide your information the New Eastern Europe newsletter and any other Newsletter or marketing information coming directly from the Operators. The Operators agree that we will not share your personal information with any third party without your prior consent. When providing your personal information for subscription purposes, you agree to provide true, accurate, current and complete information. It is your responsibility to maintain and promptly update your information to keep it true, accurate, current, and complete. If you provides any information that is fraudulent, untrue, inaccurate, incomplete, or not current, or we have reasonable grounds to suspect that such information is fraudulent, untrue, inaccurate, incomplete, or not current, we reserve the right to suspend or terminate your account without notice. 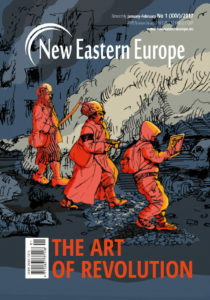 Subscribers are provided with a unique User ID for use on the website when purchasing a subscription this User ID is used for accessing digital versions of archived issues of the print magazine of New Eastern Europe. You agree that you will not permit others, including those whose accounts have been terminated, to access the website using your account or User ID, unless prior written permission has been given by the Operators. You grant the Operators and all other persons or entities involved in the operation of the website the right to transmit, monitor, retrieve, store, and use your information in connection with the operation of the website and in the provision of services to you. Our failure to insist upon or enforce any provision of these terms shall not be construed as a waiver of any provision or right of the Operators. The Website is hosted in Poland. The Operators make no claims that the content on the website is appropriate in all jurisdictions. Access to content may not be legal by certain persons or in certain countries. Accessing the website is done at your own risk and you are responsible for compliance with the laws of your own jurisdiction.  New Eastern Europe does its best to ensure that no copyrighted materials are infringed upon. In the event you believe that material or content published on the website may infringe on your copyright or that of another, please email us at: editors@neweasterneurope.eu. YOU ACKNOWLEDGE AND AGREE THAT, TO THE FULLEST EXTENT PERMITTED BY APPLICABLE LAW, REGARDLESS OF THE FORM OF ACTION, WHETHER IN CONTRACT, TORT (INCLUDING NEGLIGENCE) OR OTHERWISE, IN NO EVENT WILL NEW EASTERN EUROPE OR ITS AFFILIATES, INCLUDING, WITHOUT LIMITATION, THEIR RESPECTIVE OFFICERS, DIRECTORS, EMPLOYEES, SUCCESSORS AND ASSIGNS, BE LIABLE TO YOU OR ANY OTHER PARTY FOR ANY DIRECT OR INDIRECT LOSS, DAMAGE, COST, EXPENSE OR LIABILITY OF ANY KIND (“LOSS”) ARISING IN ANY WAY OUT OF OR IN CONNECTION WITH THE AVAILABILITY, USE, RELIANCE ON, OR INABILITY TO USE THE NEW EASTERN EUROPE SITE, INCLUDING (WITHOUT LIMITATION): (i) DAMAGES FOR BUSINESS INTERRUPTION, LOSS OF BUSINESS AND OTHER PROFITS, LOSS OF PROGRAMS, COST OF REPLACING EQUIPMENT OR SOFTWARE OR LOSS OF RECORDS, INFORMATION OR DATA, LOSS OF USE OF DATA, LOSS OF REVENUE, LOSS OF GOODWILL, LOSS OF CUSTOMERS, LOSS OF OR DAMAGE TO REPUTATION, LOSS OF CAPITAL, DOWNTIME COSTS, LOSS UNDER OR IN RELATION TO ANY OTHER CONTRACT, OR LOSS OF ANTICIPATED SAVINGS OR BENEFITS; (ii) ANY INDIRECT, SPECIAL, EXEMPLARY, PUNITIVE, INCIDENTAL OR CONSEQUENTIAL LOSS; OR (iii) ANY LOSS ATTRIBUTABLE TO ERRORS, OMISSIONS, OR OTHER INACCURACIES ON THE WEBSITE. THE EXCLUSION OF LIABILITY IN THIS SECTION APPLIES EVEN IF NEW EASTERN EUROPE SHALL HAVE BEEN ADVISED OF THE POSSIBILITY OF SUCH LOSS. 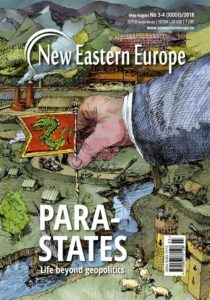 BECAUSE SOME STATES OR JURISDICTIONS DO NOT ALLOW THE EXCLUSION OR LIMITATION OF LIABILITY FOR PARTICULAR KINDS OF LOSS, IN SUCH STATES OR JURISDICTIONS, NEW EASTERN EUROPE’S LIABILITY SHALL BE LIMITED TO THE EXTENT PERMITTED BY LAW (THEREBY MINIMIZING NEW EASTERNEUROPE’S LIABILITY TO YOU TO THE LOWEST AMOUNT THAT APPLICABLE LAW PERMITS).